The Perpetual Calendar that you can lay aside and all calendar indications will be correct when you pick it up again after two months! 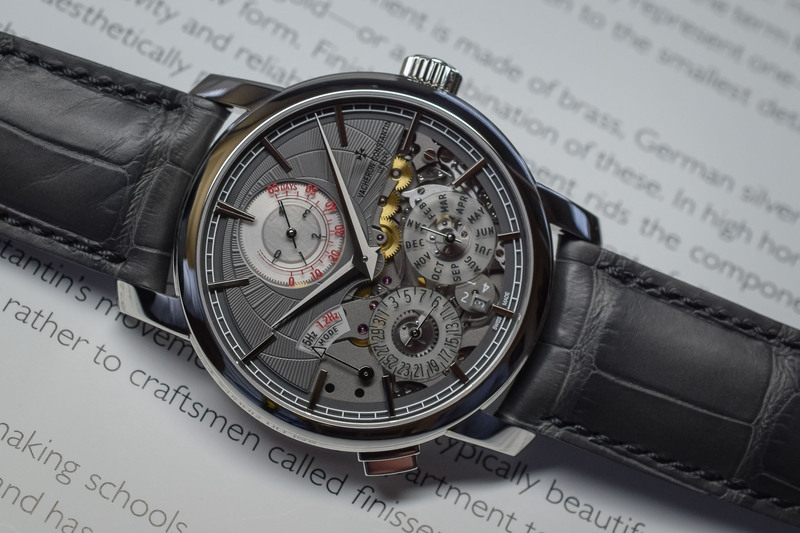 Maybe you own a manually wound perpetual calendar and you’re familiar with the issue of setting the calendar indications after it has been in storage for some time. It’s a hassle. 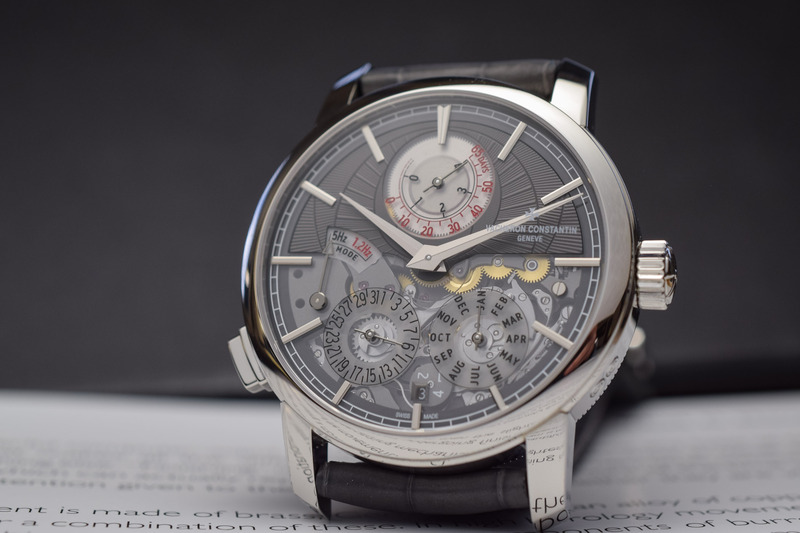 And when you own a perpetual calendar with automatic winding, there’s a good chance that your vault is not equipped with an automatic watch winder. Again, you face the same challenge to set all the calendar indications. 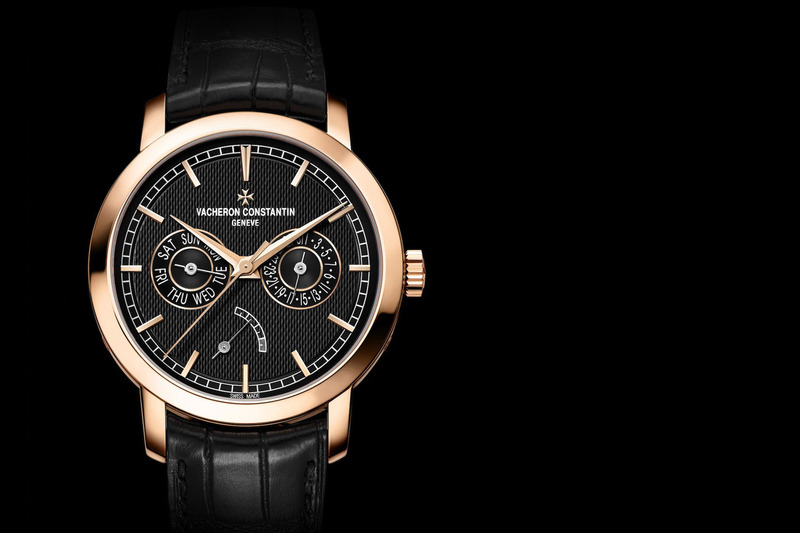 Vacheron Constantin’s solution to this problem (and I do agree that this is a first world problem) is simply brilliant. By equipping this perpetual calendar with one large mainspring, two gear trains, each with its own oscillator ticking at a different frequency, Vacheron has come up with the perfect solution. In terms of design, it’s all in line with the design codes of Vacheron’s Traditionnelle collection, and it comes in a polished 950 platinum case that measures 42mm in diameter and 12.3mm in height. That’s a very wearable size, especially when you consider the number of technicalities this watch packs. At the 12 o’clock position is the power reserve indicator, which shows two aligned scales, one for the Active Mode with 4 days of power reserve and one for the Standby Mode with 65 days. On the lower half are three sub-dials, one for the months, one for the date, and in between these two is a small dial for the leap years. At 9 o’clock is an indicator for the selected mode: Active Mode with a frequency of 5Hz or Standby Mode with a frequency of 1.2Hz. The hour and minute hands feature two different finishings, one side is polished and the other side is grained for enhanced legibility. 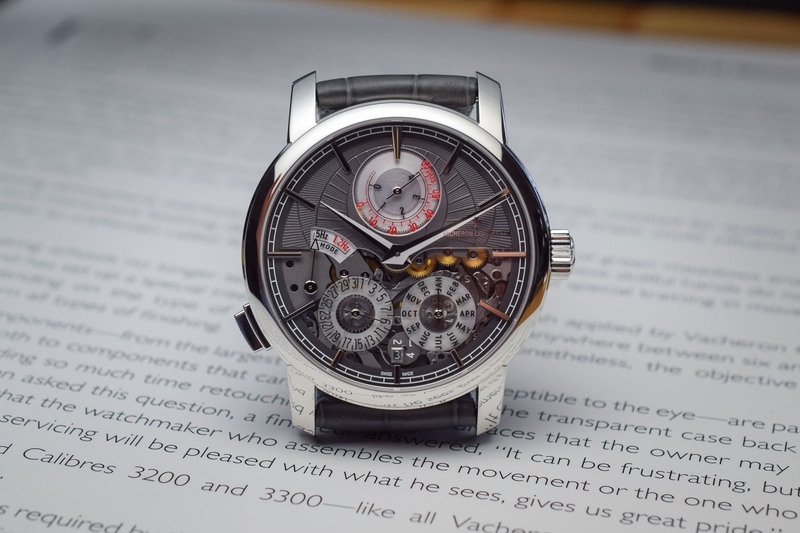 The upper part of the watch’s face features sort of a half dial and the lower part of the face mainly shows the movement, plates and some gears. 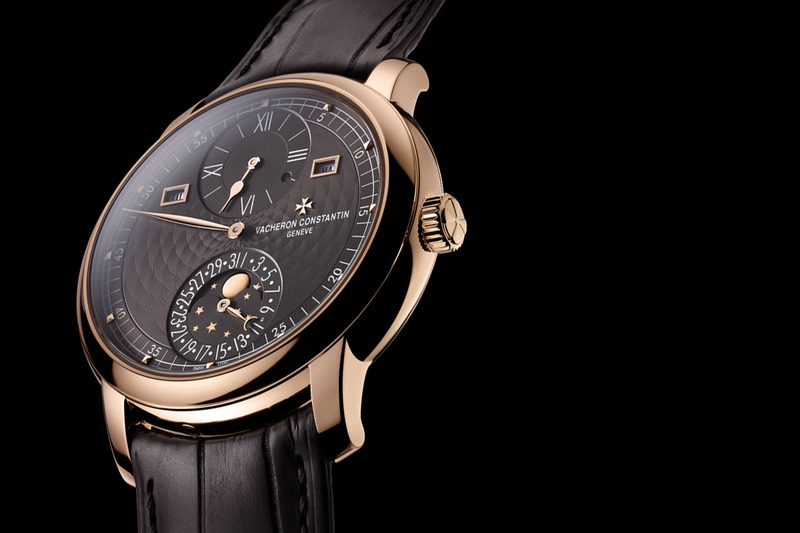 The semi dial is a gold plate, adorned with a very nice handmade radial guillochage and NAC treated. This is fitted within an outer rim of sapphire crystal with applied gold hour indexes. 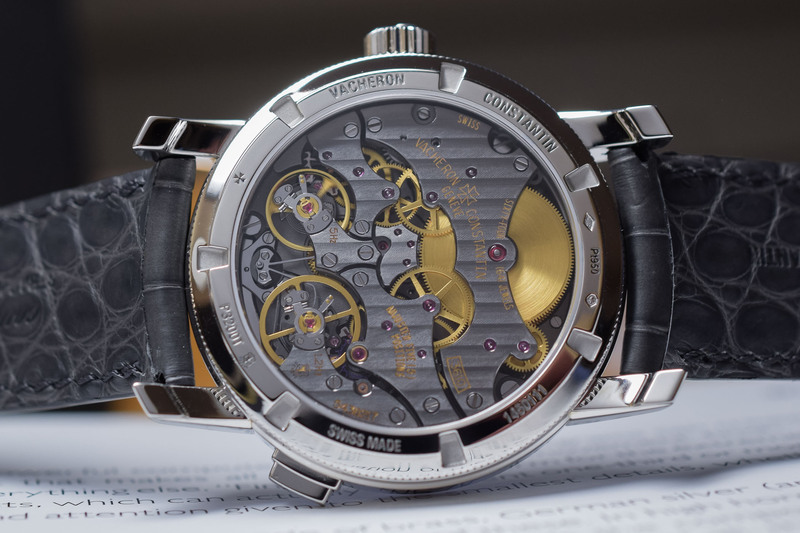 The movement’s plates, visible on the lower side of the face, are sandblasted and are subsequently NAC treated. 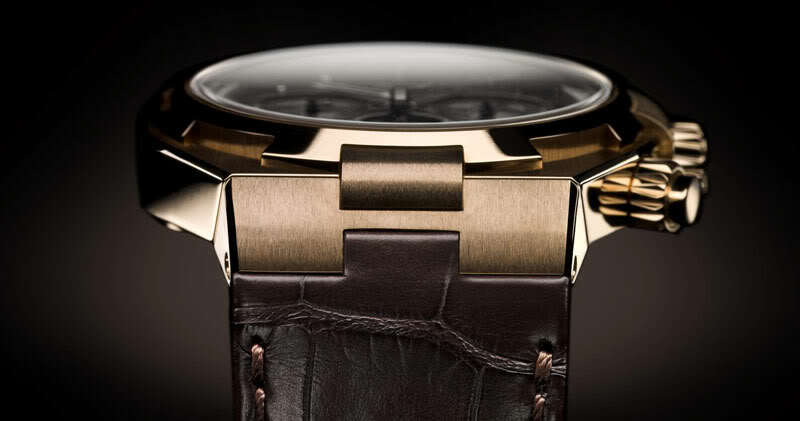 Turning the watch around, the movement’s decoration looks very modern, with a dark coating. The plates and bridges are decorated with Côtes de Genève and then NAC treated, which is a dark coating that is more resistant and durable than a PVD coating. When wearing the watch you keep the watch in the 5Hz mode. This equals 36,000 vibrations per hour and it’s the frequency of one of the two balances of the movement. Via a pusher at the 8 o’clock position, you can switch the movement to the 1.2 Hz frequency (8,640vph) and in this position, the watch keeps running, indicating all calendar functions, for a period of no less than two months! It must be said that the 1.2 Hz mode is not meant for wearing the watch, as the balance swings at a very slow pace and will be less precise and more vulnerable. When the watch is in this “standby mode” it’s best to keep the watch in a flat position. When wearing the watch it’s (highly) recommended to keep it in 5Hz mode or Active Mode. And how does it work technically? Actually, it’s relatively simple, as there are two separate gear trains connected to one large mainspring barrel, which stores enough energy for up to 65 days of autonomy. Both gear trains have their own regulator, each with a balance vibrating at a different frequency. One at 5Hz and one at 1.2Hz. You can switch between these two gear trains by pushing the pusher at the 8 o’clock position. The oscillators are bi-stable, which means that only one gear train at any time is active. So when you switch between the two modes, one gear train, or actually one balance, will be stopped, while the other will be released and can start running again. The balance is stopped, not with a little whip on the rim of the balance, but on the roller of each balance. The video shows how the disengagement of one oscillator provokes the simultaneous start of the other oscillator. Since both gear trains run at a different speed, the speed of unwinding of the mainspring depends on which mode (and thus gear train) is selected. And also the hands must be able to ‘translate’ both speeds to show the correct time. Both for the unwinding of the mainspring and how this translates to the power reserve indicator and for the hour and minute hand, there’s a differential that translates the correct speed depending on the mode that is selected. 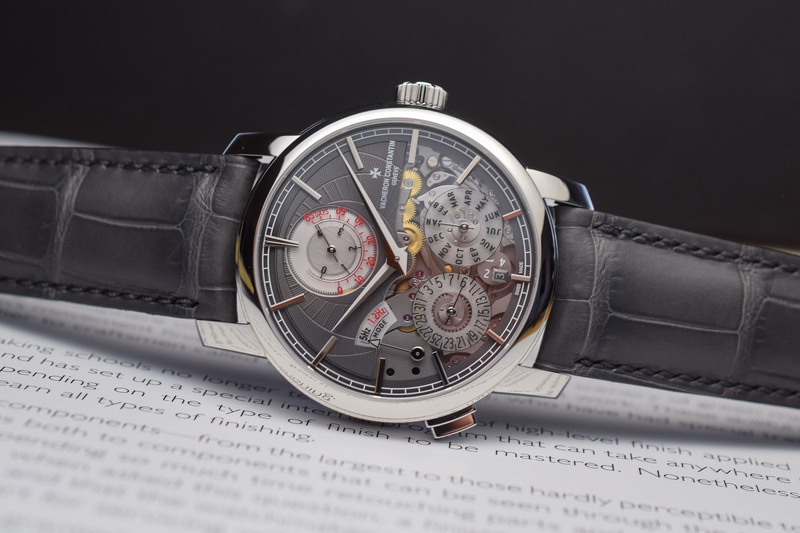 The new Vacheron Constantin Traditionnelle Twin Beat Perpetual Calendar is a truly spectacular timepiece, comprising many more technical feats than we can describe in this brief first insight. 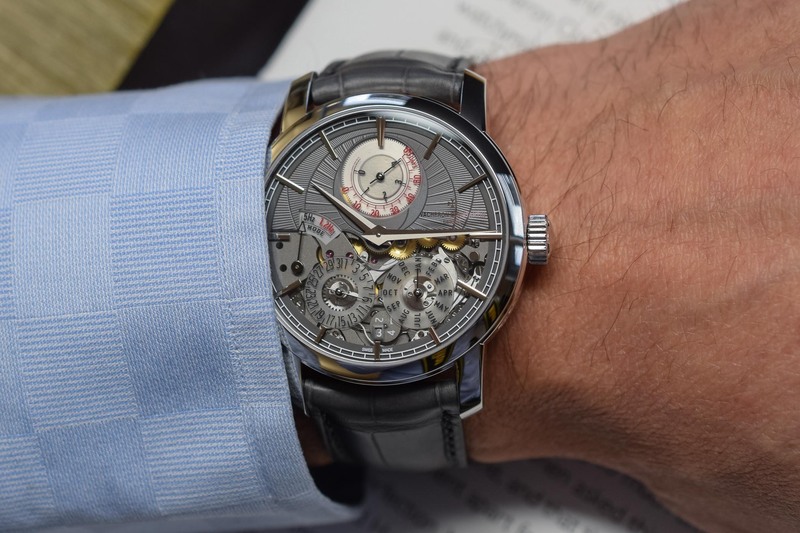 This will certainly be among the most talked-about watches of the fair, if not the most talked-about watch. It’s amazing to see how pleasant the watch, with a size of 42mm by a little over 12mm, wears. 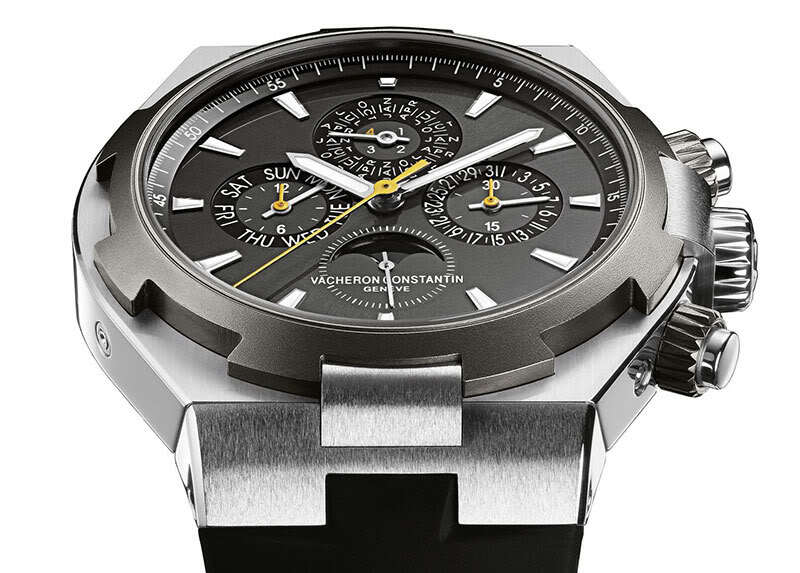 Kudos to Vacheron Constantin! Very, very clever. 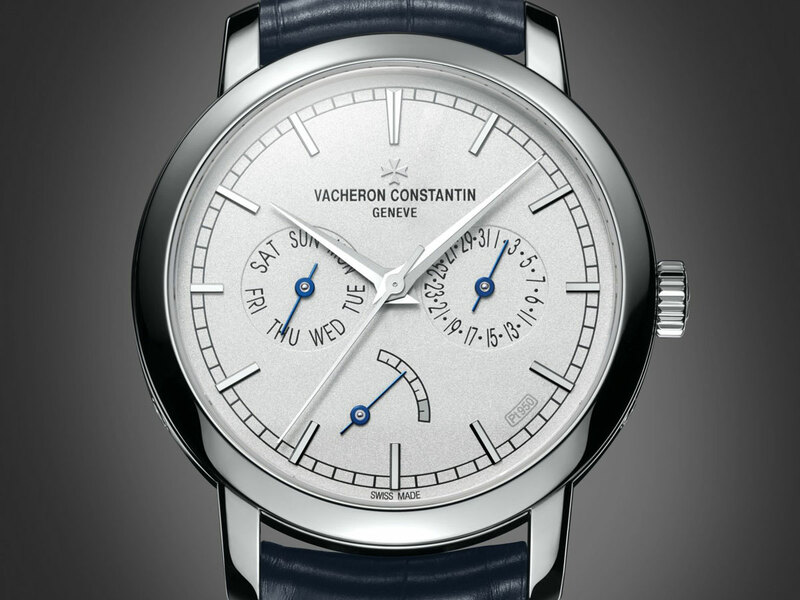 The dial is…well, not up to the usual stratospheric standards of Vacheron, but hey, they’ll make different ones.